It’s officially autumn – hooray! Do you know what that means? It means falling leaves, crisp air, sweaters and, of course, baking. Actually I should say BAKING! 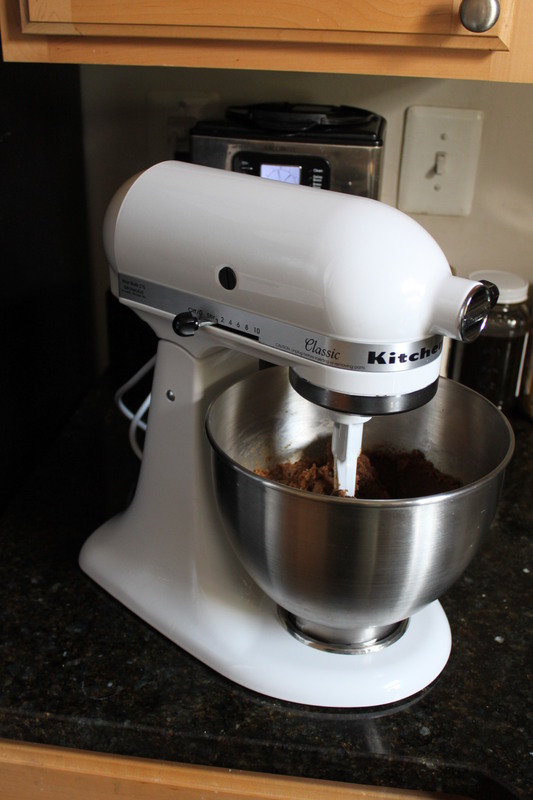 Last May my sister surprised me with a wonderful birthday present – a Kitchen Aid mixer. Um yeah, a Kitchen Aid. Booyah baby sister. 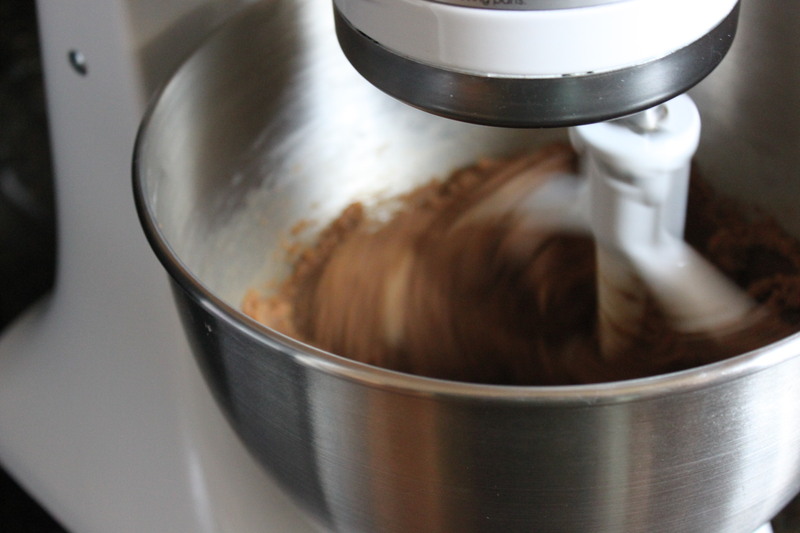 Have you ever used a Kitchen Aid mixer? The experience is truly divine. The ability it has to cream together butter and sugar in twenty seconds and not having sugar fly out of the bowl and on to my shirt is quite amazing. And I can finally make marshmallows for goodness sakes! But for now the marshmallows will have to wait. I am on a quest. 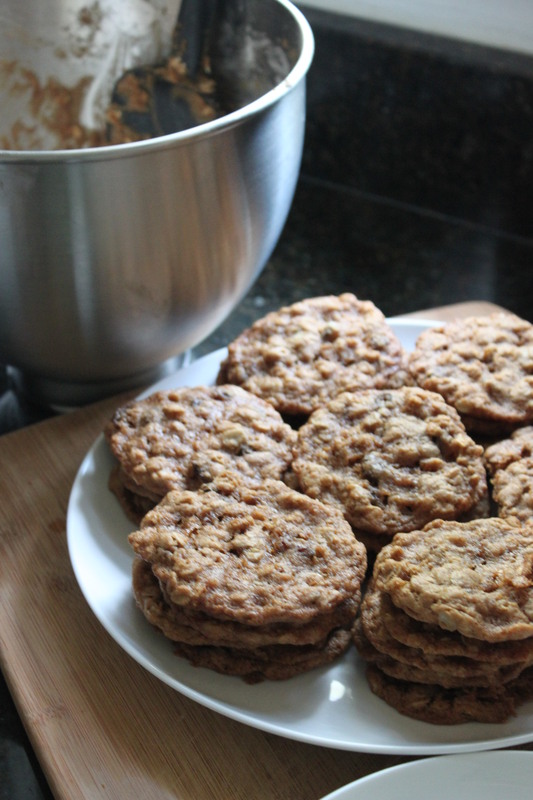 I am on a quest to bake my Dad his favorite cookie, the simple, unpretentious and high in whole grain, oatmeal raisin cookie. The man does not ask for much so when he actually does ask for something it is monumental. When asked what he wanted for Christmas, Father’s Day and his birthday his standard reply was seven obedient children. Dare to dream. So I begin my quest with a recipe from Snixykitchen.com. I know, I should start with the standard Quaker Oats recipe but I wanted to be different and I liked the photo on Tastespotting.com for this recipe. 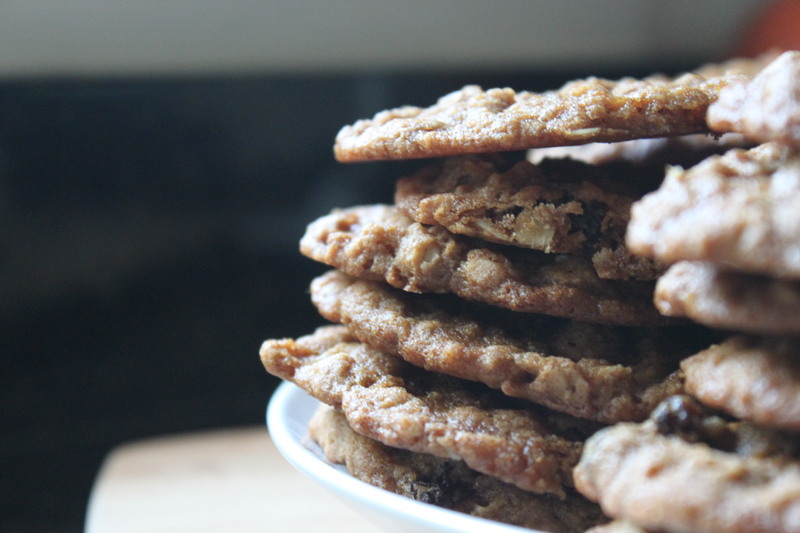 The photo led me to www.snixykitchen.com and her recipe for Not Your Mama’s Oatmeal Raisin Cookie. Good thing too, cause they are for my Dad. Ouch, sorry about that. I couldn’t help it. Oh, and as soon as I saw that the recipe called for brown sugar exclusively there was no turning back. I loved them! There is a toffee and chewy and mouth-watering sweetness the brown sugar brings. Mine came out a bit darker but they are so yummy I don’t care. The danger is in eating too many. I am not a fan of raisins in particular, let alone raisins in my cookies. So I am pretty much judging cookie only. But will my Dad? Is he set in his ways and can only see the oatmeal raisin cookie as the only true version of the classic? Does he love the cookie most and the raisins are just incidental? Or perhaps he sees his oatmeal cookie as a conduit to raisins as I see my deconstructed caramel apple just a conduit to dulce de leche. Who knows. I will be passing them out to various neighbors, colleagues and friends to get their input but the final say will be the big guy himself. Enjoy! Note: These cookies are thin so I was really glad that parchment paper was recommended. I recommend you use it to. And if you are cheap frugal like me, you can reuse the paper. And of course, raisins. Anywhere from 1/2 cup to a full cup, depending on love of raisins. Cream together softened butter and brown sugar using electric mixer. Beat in vanilla and eggs, and mix until smooth. 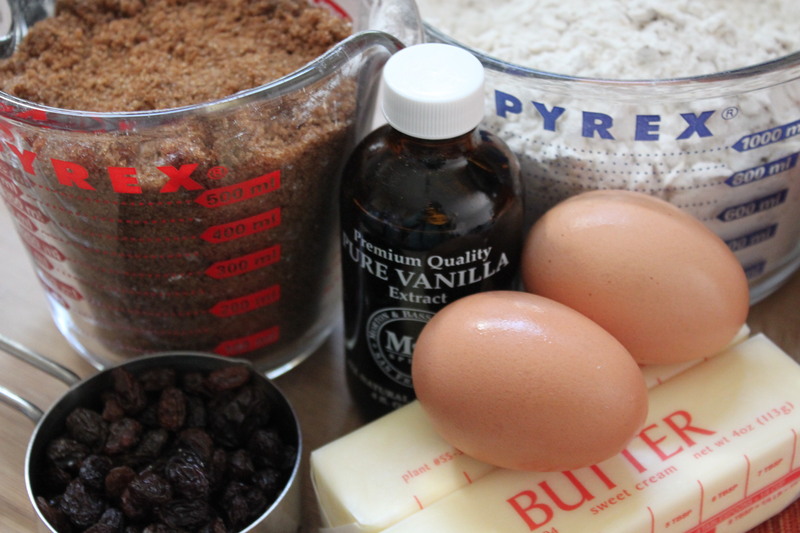 Fold raisins into egg and brown sugar mixture. In a separate bowl, whisk together flour, baking soda, baking powder, salt, and oatmeal. Add a small bit of flour mixture at time to the egg and sugar mixture and mix just until all the flour has been absorbed (do not mix too much or the cookies will be tough). Drop dough by teaspoon-sized balls on to a parchment-lined baking sheet. Bake 9 to 11 minutes or until the cookies just start turning golden brown. Let cookies cool on a wire rack before serving. Um, they are in a bag on your door. Stealth baking, what? Yeah, cookies look great, but let’s talk a moment about the mixer. I do not own a fancys-smancy stand-mixer and always wondered what the big deal was with these things. It’s not like I’m a serious cook/baker type gal, but on occasion I’d like do more than cut and bake cookies, if you know what I mean. And now Living a la mode has given me insight I’ve never had before as to why these babies might be worth my investigation ….No more flying food particles!…really? what a concept…..might make me want to do a little more mixing-related cooking/baking….Thanks! And I have to say this Michelle, our back corner of the newsroom even stated that the post-stand mixer alfajore cookies I made were so much better than my pre-stand mixer. I think it blends the sugar, butter and flavors more evenly. First – YEA for the mixer! Second, if you ever need a divine, 1 hour (start to finish) homemade / delicious / sinful / bad-for-you bread recipe, you know who to call. The mixer makes it a cinch!